CROCKETT – Despite the city of Crockett’s best efforts, a company known as Provalus has chosen to locate a new facility in Jasper, rather than Crockett. Provalus, an IT service company, sent representatives to Crockett in December to gauge the interest of prospective employees and to see what the county seat had to offer. With a turnout estimated at nearly 500 and an offer to take over the former Angelina College (AC) facility, the company still decided on the accommodations offered in Jasper. The move was announced on Thursday morning. Following the announcement, a call was placed to Crockett City Administrator John Angerstein in an effort to find out further details on the matter. 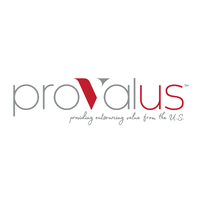 “Earlier this week, we held a meeting with Provalus where they came in to review our letter of intent and to dig in a little bit deeper on their business plan and our proposals. From there, they went to Jasper and basically did the same thing,” Angerstein said. The next day, Angerstein said, he received notice from Provalus President Chuck Ruggiero that the company had chosen Jasper. “This was definitely disheartening and a blow to us. I feel we have a great facility (the AC campus) that we should continue to try and capitalize on and use to leverage businesses. I think a lot of people – a lot of businesses – would love to have a move-in ready facility that is state-of-the-art,” he said. Angerstein was also asked specifically about several comments on social media which implied he and Mayor Joni Clonts should shoulder the responsibility of Provalus choosing Jasper. He went on to say there was a drawback by being public with the Provalus negotiations. “This happens fairly often in any city, even Crockett, where the city and the EDC is working with companies trying to bring in business. When those fall through – when they are not a public affair – no one knows about it so it’s not viewed as a win or a loss. It’s Just business. This company felt it was really important to get a feel for the community such as how much support they would have from the community and if there were adequate employees in the community,” he said. “Let’s not start pointing fingers and move forward,” Angerstein concluded. The mayor, however, had a different take on the matter and laid the blame squarely at the feet of the CEIDC, in an e-mail received by The Messenger. In the correspondence, Clonts stated the CEIDC missed several deadlines and failed to provide Provalus a letter of intent in a timely manner. CEIDC Executive Director James Gentry was contacted on the matter and requested he be allowed to review the mayor’s e-mail before issuing a response. As of press time, attempts to reach Provalus President Chuck Ruggiero were unsuccessful.